American children born in Texas to parents in the country illegally are having a tough time getting birth certificates, documents that they will need to attend school and obtain legal identification . That’s because their parents often don’t possess identification recognized by the Texas Department of Public Safety: a valid passport with a valid immigration visa. Lawyers representing the affected immigrant families say that the state rules effectively deny children of birthright citizenship, known as jus soli . As we reported in July, immigrant parents are suing the Texas Department of State Health Services Vital Statistics Unit over what they say are unreasonable barriers to registering their children’s births. In a rare move, the Mexican government showed support for that lawsuit in the form of an amici curie or “friend of the court” brief that was submitted on Monday. The Mexican Foreign Ministry says that Texas DPS policies violate the rights of the children, whose parents are from Mexico, Guatemala and Honduras. “The aim of the brief filed by the Mexican government is to preserve the right to identity of the children born to Mexicans in Texas and to ensure that they can fully exercise the rights guaranteed by U.S. legislation, particularly the Constitution,” the Ministry statement said. 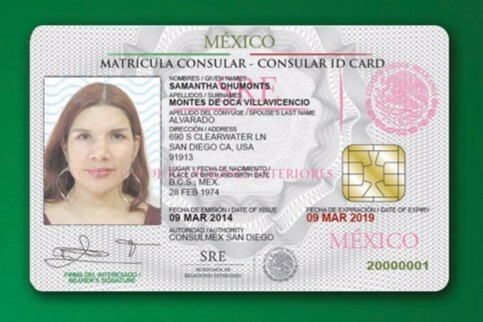 Texas officials do not accept the Mexican-issued matricula consular, an identification documented which in other U.S. states like California and New Mexico can be used to obtain a driver’s license. According DPS, the rules have been in effect for years, but were enforced only recently. Plaintiffs in the case have said that the same bureaucrats who are denying their children birth certificates had accepted their identification with previous children. In the 19-page amicus brief, Mexico’s lawyers said that the acceptance of Mexican documents was a significant foreign policy concern, according to the Statesman . “Expressions of doubt about the integrity of documents issued by a friendly country introduce a troublesome and discordant element into binational or transnational relations,” the statement said. Without birth certificates it would also be difficult for immigrant children to obtain identity documents, not only with U.S. authorities, but also in the consulates of their parent’s home countries. The Ministry also highlighted the health risks to newborns who wouldn’t have access to healthcare and other services. “This policy puts the newborn children of undocumented immigrants at great risk. It violates their right to identity guaranteed by international human rights treaties and it impedes their access to basic services such as healthcare and education. In addition, it has a negative impact on the United States’ international relations in that it establishes selective measures and differential treatment that affects the dignity of foreign nationals and their families,” the Ministry said.